Dave Grohl makes this love letter to this incredibly creative place as he famously recorded Nevermind with Nirvana here in 1991. We get some brilliantly informative talking heads with some of rock’s most influential musicians and technicians, but don’t let the technical put you off, this is a very entertaining documentary that is a must see for anyone with an interest in music and sound design. 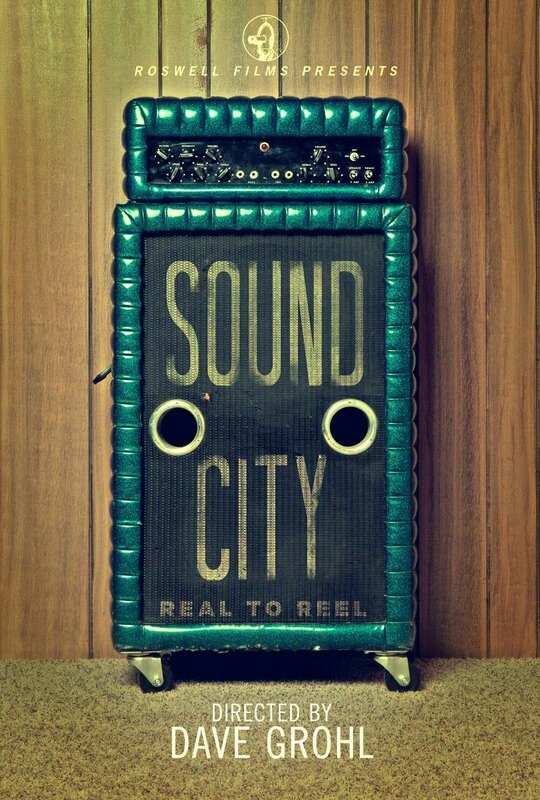 The story of Sound City, the recording studio in L.A. where a plethora of musicians recorded in the latter part of the 20th century. Rupert Neve is a sound engineer who created the Neve analog mixing console which was one of the main reasons why the studio managed to produce some of the greatest albums from 1969-2011. This is why so many bands wanted to record here. They didn’t go for the luxury of the place, as this was hardly the venue to go to for that. What they went for was the sound. Featuring a wealth of talented artists such as Dave Grohl, Krist Novoselic, Lindsey Buckingham, Stevie Nicks, Mick Fleetwood, Tom Petty, Trent Reznor, Lars Ulrich, Rick Springfield, Rick Rubin amongst many many others, this is one for the afficianados and music lovers alike. This film has been with me for many, many years. I was 15 when I saw it and was just blown away by it. It contains my favourite soundtrack of ALL TIME, De Niro in his prime, the volatile James Woods, the first sighting of the beautiful, Jennifer Connelly, the time jumps, the kids, Bugsy, Pesci, Burt Young, opium, gangsters, loyalty, betrayal, New York, Dominic slipping, the cake scene, Elizabeth McGovern, Tuesday Weld, Danny Aiello, the babies scene, going for a swim, Fat Moe, William Forsythe, Treat Williams and the unions all brought beautifully together by the mighty Italian director, Sergio Leone. This was his 10th and final film. I have seen it countless times and it gets better with every viewing. Always the 229 minute version, thanks goodness I never got to witness the abomination that was the American cinema release, the butchered 139 minute chronologically ordered version cut by the studio. This version was described by Roger Ebert as a “travesty”. This is probably one of the main reasons it isn’t as well known as it should be. Had it been released in America in its original version (Leone still had to cut it down from his 269 version to 229 to appease the distributors). The Europeans got it. It became a critical hit but commercial flop, thanks to the Ladd Company who felt it was too long and had no commercial value. When the film premiered at Cannes in 1984, it received a 15 minute standing ovation. 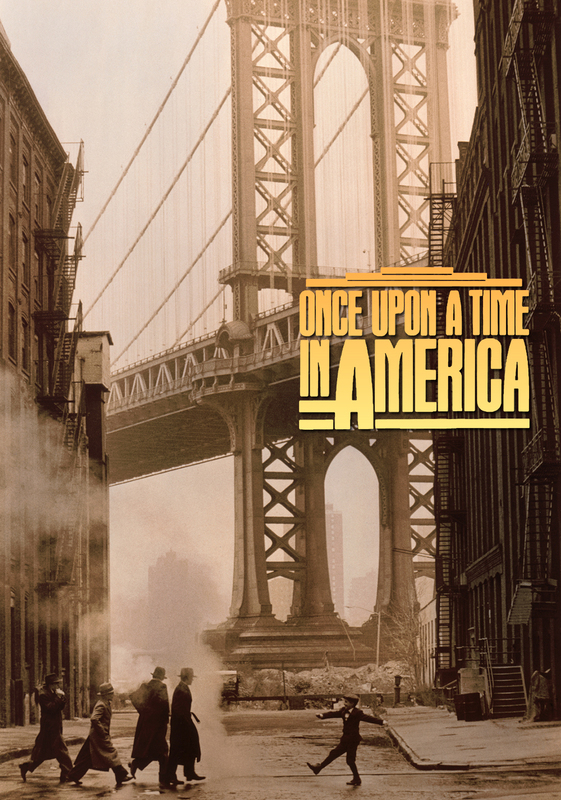 Set in New York spanning the 1920’s to the 1960’s it tells the tale of four Jewish friends, Noodles, Max, Patsy and Cockeye and their journey from two bit punks to bona-fide gangsters. It takes in along the way, friendship, loyalty, betrayal, greed and loss as it charts their exploits in the world of crime and prohibition. The music is as big a character in the film as the actors, sweeping the audience along. Ennio Morricone has rarely been better, it is a score that works from beginning to end and adds the epic, operatic touch that helps make the film what it is. Morricone had completed the score about 10 years before filming and there were times when the music was played during the scenes while they were being filmed. Leone had used this technique previously in Once Upon a Time in the West. The new scenes are all great, no duds, from the inclusion of Louise Fletcher as the director of the cemetery where Noodles’ friend are buried, to the extra Treat Williams scene in the 1960’s are all worthy of inclusion. What as shame that the 6 hour version, Leone originally wanted to release the film in 2 parts, is lost to us. It’s worth noting that the title gives us a clue of what the film may be. ‘Once Upon a Time’ indicates a story, a fairy-tale, a fantasy. Is the whole future an imagining that Noodles creates in his opiated state? One interpretation is that the whole thing is Noodles’ dream, the film begins and ends with him in an opium den in 1933; remembering his past and envisioning his future. It’s based on the novel The Hoods by Harry Grey (real name Herschel Goldberg) and is meant to be semi-autobiographical. The novel is different from the film as Leone felt that the childhood aspects of the book were more interesting and original than the later sections. Leone met Grey in 1968, which shows that he was planning on making the film for a long time before filming began in June 1982 and finished almost a year later in April 1983. After the American studio spliced his film into chronological order and took the majority of his film and left it on the editing floor, Leone was heartbroken and never made another film. He passed away in 1989. The pace of the movie is incredibly dreamlike, shots are held for a long time, lengthening moments. Take for example the telephone ring at the beginning of the film; it goes on for a long time with extended silences between the rings. Brian Bloom, who played the young Patsy, has gone on to make a successful career for himself, in voice-over work and television acting work. A jobbing actor until the 2000’s when he became very successful in the video game voice-over world. He appeared in a couple of episodes of HBO’s Oz. With eyes like that, you’d have thought he would be in front of the camera more than in a booth using his vocal skills. Not so lucky was James Hayden, who played the older Patsy. He died of a heroin overdose whilst playing an addict in American Buffalo starring opposite his pal, Al Pacino on Broadway, thus denying him the chance to hit the big time when this film was released. This film is a testament to the genius that was Sergio Leone. If you haven’t seen it yet, shame on you. Is this in your top ten? Let me know why in the comment section below.